Mr. Robert James Daye, age 59, of 2120 Hawkins Street - Apt. B, Raleigh, departed this life on Thursday, March 21, 2019. 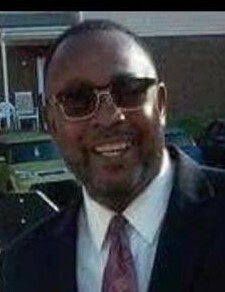 Funeral, 12 Noon, Thursday, March 28, 2019, Mount Peace Baptist Church, 1601 Martin Luther King Jr. Blvd., Raleigh. The Rev. Dr. J. Vincent Terry Sr., Pastor, Officiating. Interment, Carolina Biblical Gardens, Garner. Visitation, 11:30 AM to 12:00 PM, Thursday, prior to the service. Survivors: daughter, Courtney R. Daye of Raleigh; father, Daniel L. Daye Sr. of Raleigh; sister, Gloria Cassandra Daye of Raleigh; brother, Daniel L. Daye Jr. (Vicky) of Raleigh; granddaughter, Madison Trice; two nephews, James Perry, Moses Daye Jr.; one niece, Holly Daye and a host of other relatives and friends. The family will receive friends at 3705 Chancellorsville Court, Raleigh, beginning Monday, March 25, 2019. Public viewing, 12 Noon - 8 PM, Wednesday, March 27, 2019 at the funeral home.